A woman has managed to save £18,000 in the past five years by only shopping in the reduced aisles of supermarkets. 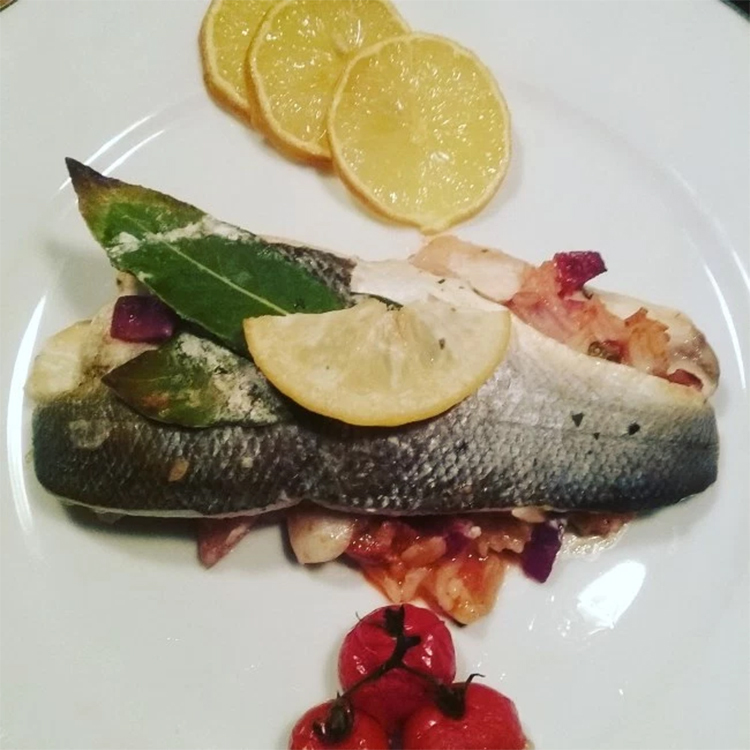 Kelly Eroglu managed to save £3,900 a year for the last five years, but still manages to eat things like "Sea Bass stuffed with rice and Chorizo" and "lamb stuffed aubergine" - meals that would nearly bankrupt everyone else. She puts her success in saving money down to "shopping like a ninja", and now spends just £20 a week to feed her, her husband and her two children, her stepson who visits on weekends, and several friends and relatives who come round for food on a regular basis. She used to spend £90 a week. Kelly, from South Wales, scours the reduced sections of supermarkets and makes meals from what she finds there. 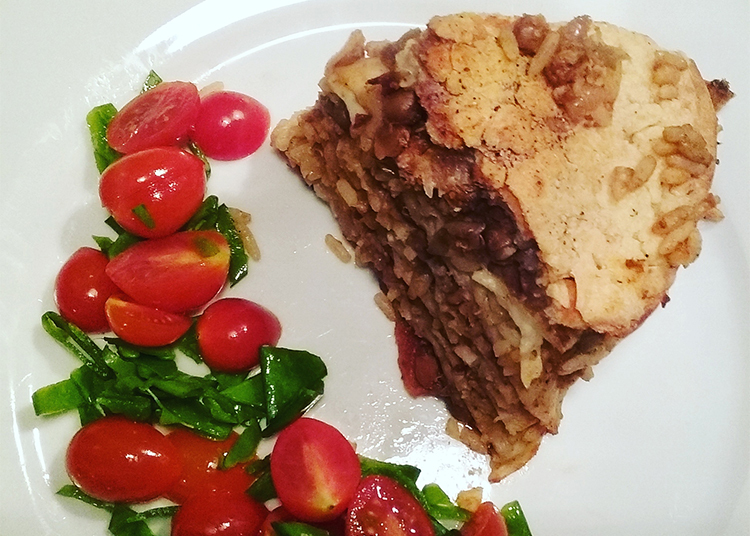 She has recently started a blog, "Reduced Grub" sharing her low cost recipes which range in price from 50p for meals that serve five people, to meals that cost £1 per portion. "I did ask myself: 'Am I scabby or super savvy?'" she told Femail. "But why should I be embarrassed about being clever about my food? I went to Waitrose last Sunday and got Duchy Organic sticky chicken wings for 69p, which I made with butternut squash and stir fry veg." Despite the low cost, her food looks pretty goddamn delicious. Sea Bass stuffed with rice for £1 a portion. Massive tortilla stack for 75p per person. Kelly said she had to reduce her food bill in a big way, after reducing her hours as an air-hostess in order to spend more time with her family. But, she says, no-one has noticed the difference in the quality of her food. "I got into this bargain hunting in a big way so we could all still eat really well and nobody's noticed the difference." "I always cooked from scratch but when I had a flexible budget I would nip to the supermarket and pick up a few things without really thinking about the cost." "I could spend £90 a week in Sainsbury's, but now it can be as little as £20." Buy seasonal products just after the season (e.g. easter eggs) - they'll keep for months. 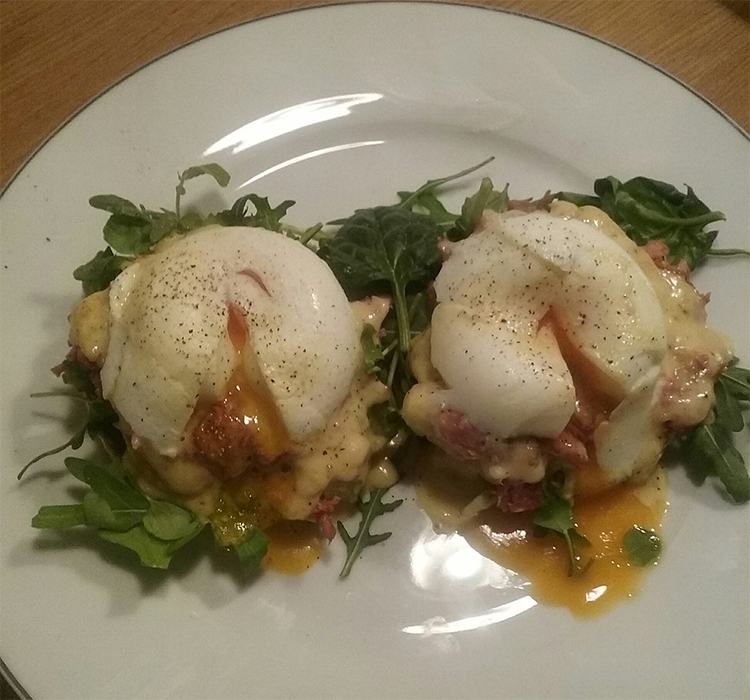 Cod and Salmon cwtch, and eggs benedict. All ridiculously cheap, of course. 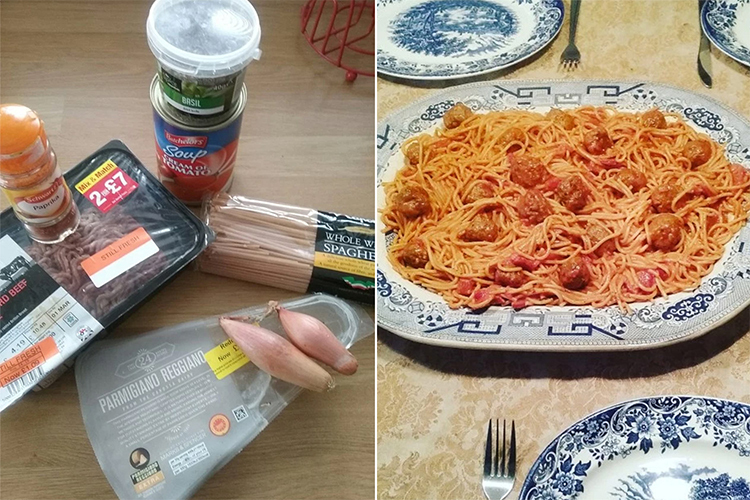 Kelly spends £20 to feed a family and a lot of guests for a week. For the same price that a lot of people would spend on themselves over the week. But she still regularly makes meals for a lot of her friends, and doesn't feel the need to change that now that she is being more frugal in her shopping. "I've always had friends over for dinner and always done big meals and that hasn't changed. I have a curry club and friends come over and I make a bit pot for £10 for six to eight people. Nobody's got a clue how little it costs." "We have a really big table in our house and we're always feeding the kids' friends." 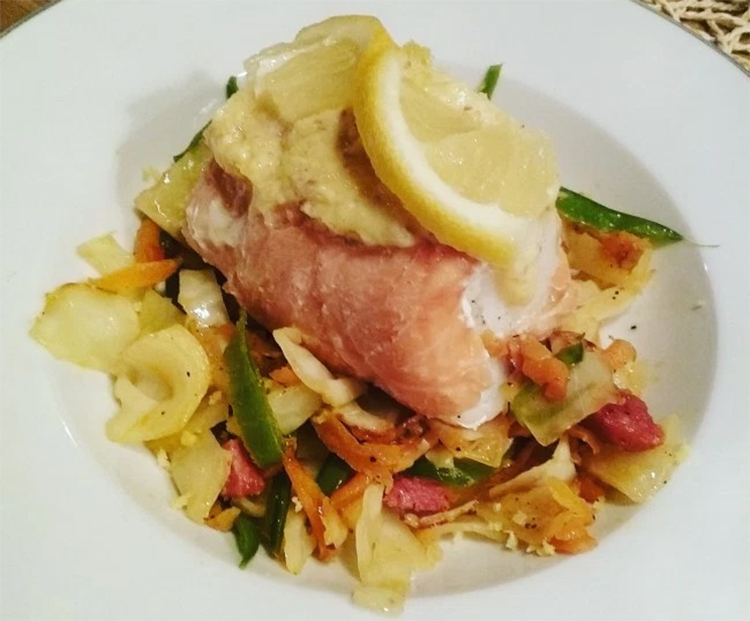 "For my husband's 40th birthday recently we had 40 guests and it cost me £50 for everything and everyone commented on how nice the food was." Since starting her blog two months ago, Kelly has been overwhelmed by nice messages from people taking her advice, and even told TV presenter Lorraine Kelly about her blog. "I met her on a flight and she was delightful," Kelly told Femail. "I told her about my idea and she said it sounded great and promised to take a look." Like this? Check out our Supermarket Reductions Tips & Tricks. You'll never shop the same way again.